I am starting to get super excited about all the FAB events I’m involved in at next weeks Story Arts Festival Ipswich (SAFI). Not that I’m in any way biased but I think this is very possibly the best children’s literature festival around and it’s FREE (excluding the adult weekend program which is low cost). 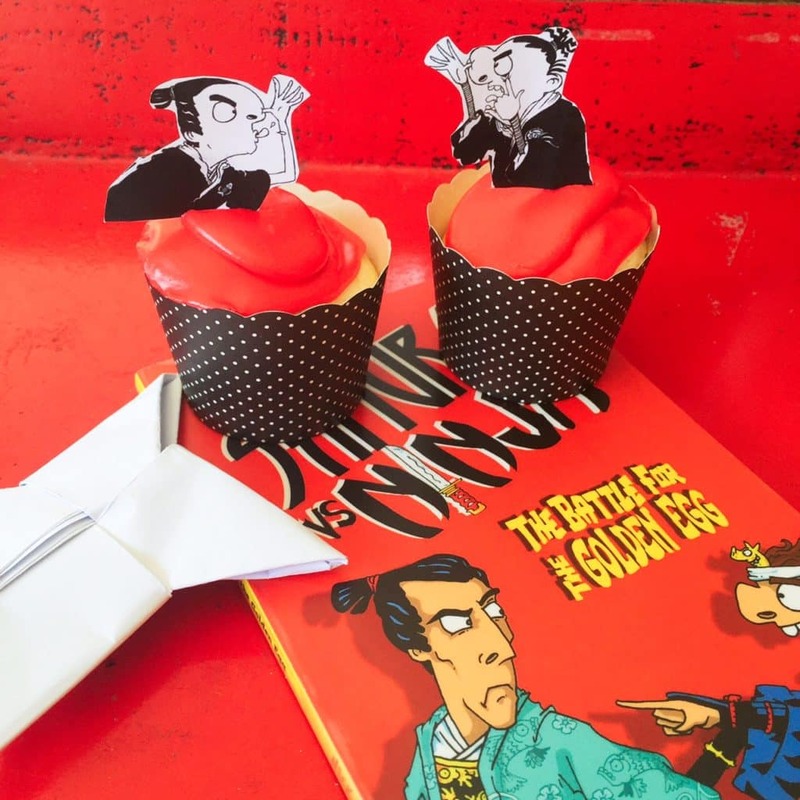 I’ve just done the prototypes for the ninja cupcakes for next Tuesday afternoons Ninja Book Party with the incredibly talented Peter Carnavas (read my interview with him here), Damon Young and Tony Flowers. 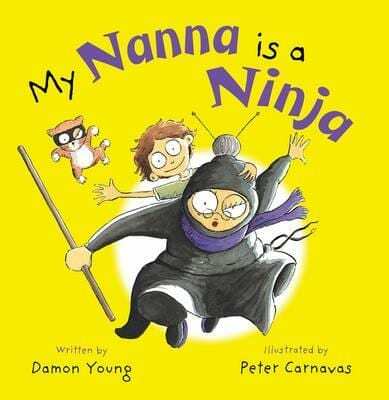 Peter and Damon are responsibile for ‘My Nana is a Ninja’ and Tony Flowers, together with Nick Falk, are the creative minds behind the ‘Samurai Vs Ninja’ series which I’ve spoken about before here. ‘Pete’s Desk’ from my Book People Interview with Peter Carnavas. ‘My Nana is a Ninja’. 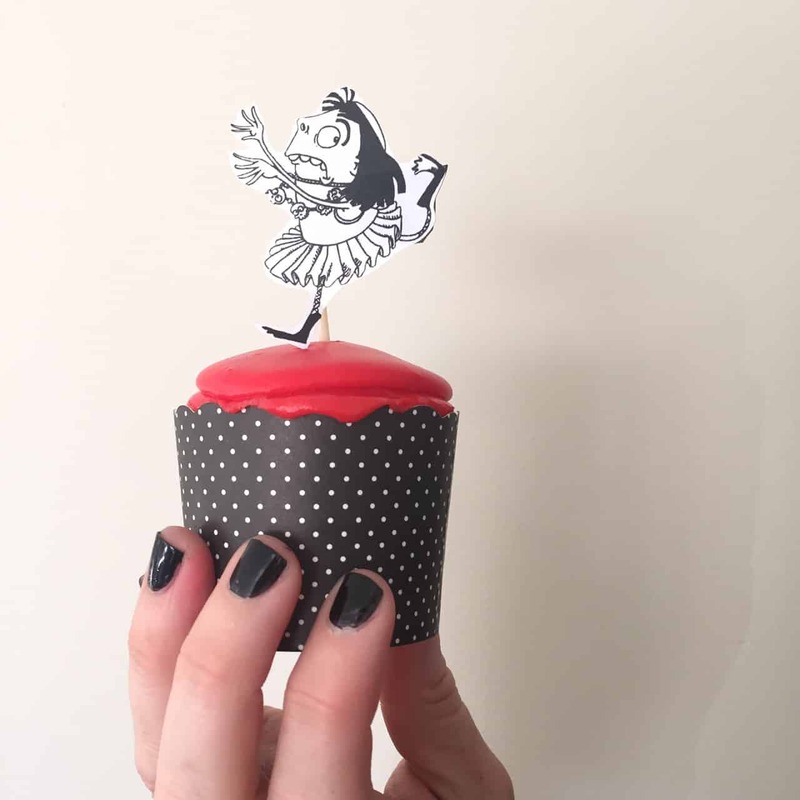 I asked Tony if I would be able to use some of his book images as cupcake toppers and he MADE ME two sheets of images the perfect size for cupcake toppers – I was slightly over-excited about this. Literary types are so lovely are they not? If you’re based in Brisbane or Ipswich or surrounding areas, there are still limited tickets left to this event. Just book here. All attendees are very welcome to come in their ninja or samurai costumes if they have such a thing lying around! 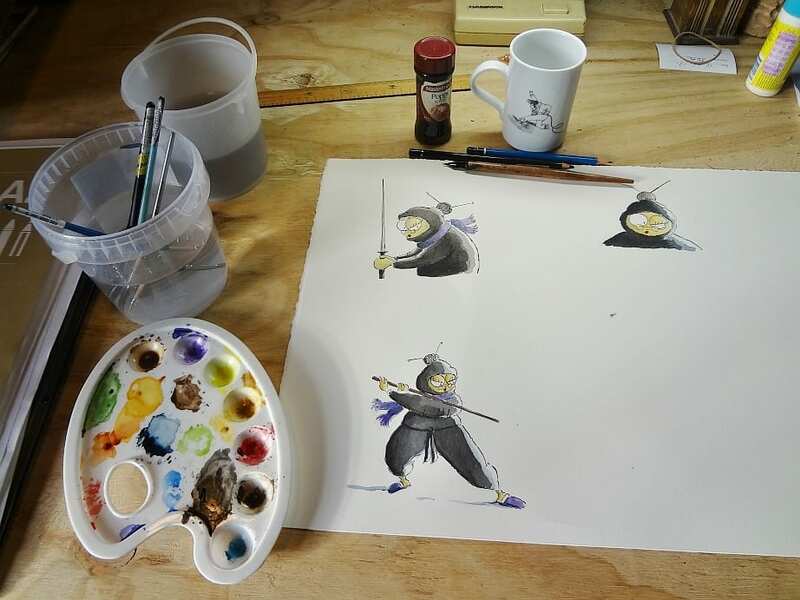 Peter, Damon and Tony will be talking a little about their creative process and drawing, writing and ninja-ing. 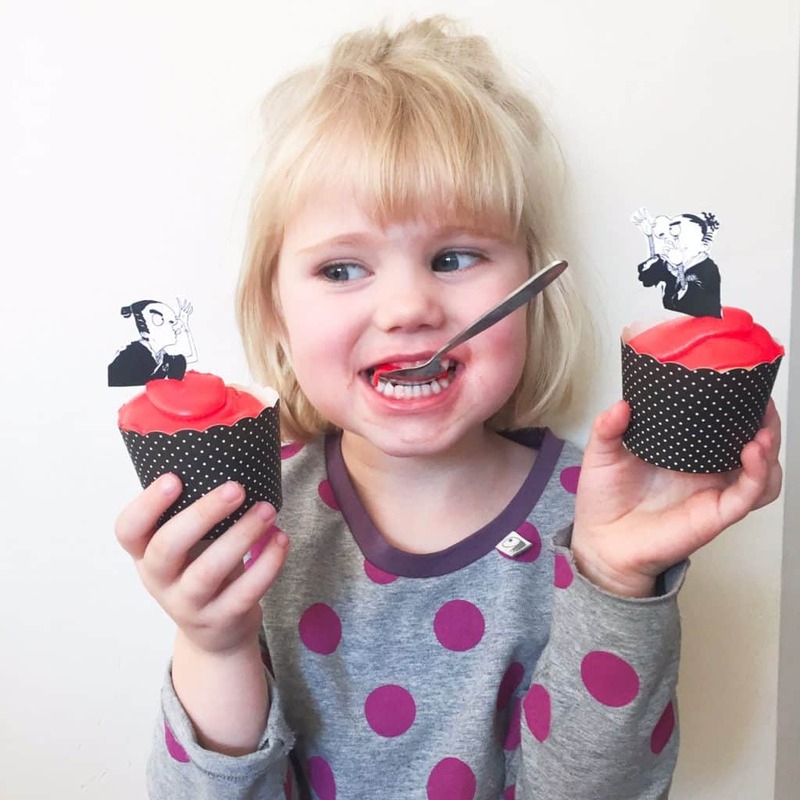 We’ll be eating ninja cupcakes, decorating ninja stars (if my husband can make enough in time! ), having selfies with authors and illustrators, buying books and having them signed, and enjoying celebrating all things literary ninja (and a little bit of Samurai – tis Samurai V Ninja’s!). You can see the books this book party is based on below. Click on cover images to add these books to your home, school or library collections.